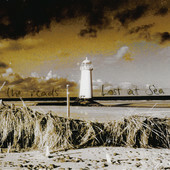 “Lost at Sea” is the follow-up to The Reads 2011 debut “Stories from the Border”. Although three years is a relatively long time between albums, it pales into insignificance beside the eleven years between their formation and the release of the first album. The line-up of the band is: Marcel Delrue (keyboards and programming), Jamie Russell (lead guitar, harmonica and backing vocals), Stuart Bennett (vocals and rhythm guitar), Clare Goddard (bass guitar and lyricist), Matty Goddard (drums) and Chris Goddard (percussion, mandolin, lap-steel and backing vocals) and they are located, geographically and spiritually, in the rugged area where North Wales meets the North-West of England. They’ve already had some support from BBC Radio Wales, XFM and Radio 2 and if you listen to this album that shouldn’t come as a surprise. I hesitate to use the dreaded phase “concept album” to describe “Lost at Sea”, but there’s an unusual cohesion across the album in the musical and lyrical themes and, with some songs segueing into the next, it’s clearly meant to be heard as an album and not just as a bunch of songs. It took a while to persuade my media player to play the tracks in the right order, but it was worth it. Of the album’s ten tracks half are over five minutes long and only one clocks in at less than four minutes, allowing plenty of time to build up a mood before the vocal comes in. The opening track, “Drowned” is a perfect example of this, fading in for forty-five seconds before the lead guitar cuts in to push the song along in a fairly traditional arrangement (ok, with a mandolin as well) before a long fade-out featuring a montage of seaside sounds. If you’re looking for lyrical themes, here’s your first one; the sea, or more accurately, the place where land and sea meet. The seaside montage fades in to “Lost at Sea” with sparse beats and some nice lap steel creating a backdrop for a vignette of two strangers looking out to sea. “Scarlet” is a wistfully reminiscent folk-styled piece which, unusually, slows down for the chorus. The instrumental tone poem “High Taid” follows, again building up layers over a percussion heartbeat which continues through the next track, “Haunted”, with its cascading keyboards and synth washes and the great line ‘Feeling spoiled like a painting in the rain’. “Love or Be Loved” kicks off with a six-note sequencer intro which runs on through the song. There’s plenty of wah-wah guitar and a lyric which presents a series of bipolar, or black and white, choices, so it’s interesting that the next track is “Counting your Greys”, a mainly acoustic song about people growing old together. The atmospheric “Schnitzler” is unlike anything else on the album with its beats, trip-hop feel and Clare Goddard vocal which creates an almost hypnotic feel by repeating lines and part-lines throughout the song. The gentle “Shifting Sands” hints, instrumentally at mid-70s Pink Floyd with a relatively simple lyrical message that you can’t build anything without a solid foundation. The closer, “Spitting Feathers”, (references to a local brewery and Thom Yorke there, and that’s just the title) is the busiest production on the album building up to the rising melody of the chorus, before breaking down after about four minutes to an evocative sequencer and synth-dominated closing sequence. The melancholy musical textures and the lyrical rhythms of the album combine to create a sadness that’s strangely ethereal and uplifting, while the north-western accents keep the whole thing grounded. Not one for the playlist generation, but if they don’t want melodic and lyrical invention, interesting blends of traditional instruments and technology and ten songs/pieces which form a cohesive work, that’s their problem.